Attracting attendees and engaging audiences at your event isn’t enough anymore. Social media and online publishing have created the opportunity for events to reach audiences far beyond your venue, but they’ve also reduced attention spans and news cycles. For an event to make any kind of impact on global audiences, event professionals have to produce news-worthy experiences and share live event content during and immediately after the event before people’s attention turns to other things. 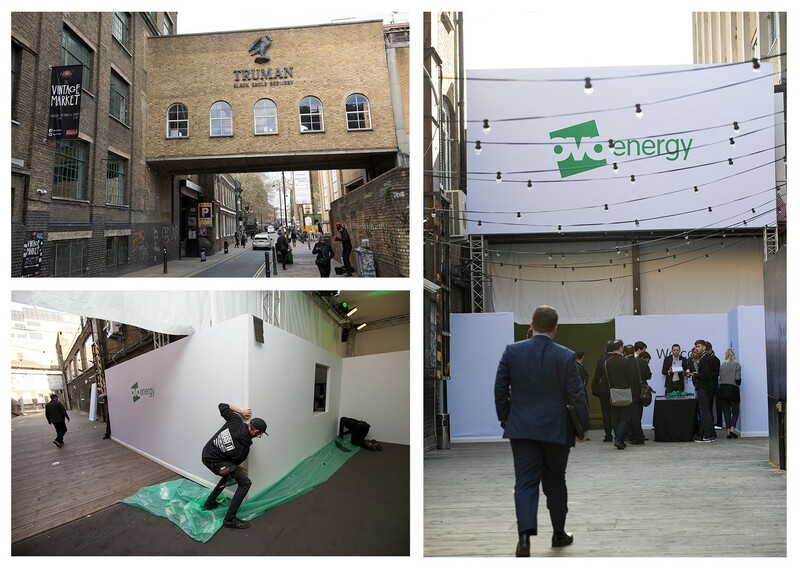 When Ovo Energy approached Bam-Bam Productions to deliver an event that would wow 160 invited opinion formers, MPs, technical press and influencers in the energy industry and create a buzz around the new suite of products being launched at the event, Bam Bam founder, Sharon Kersley, knew that event video would be an integral part of the launch – both to engage attendees and to expand the event reach. 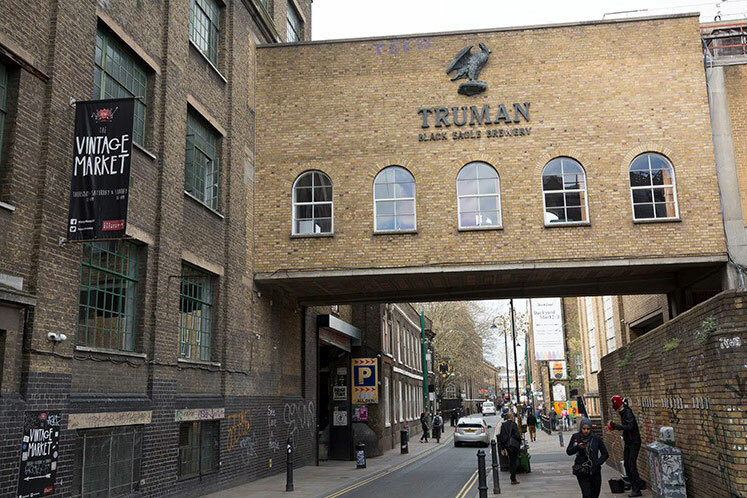 The launch was held at the Backyard Market, part of Old Truman Brewery, a blank-canvas that allowed Bam Bam’s team to build spaces customised to their client’s needs within the venue. Entourage Live, production management for the event, designed a reception area, presentation space and interactive demo room which attendees moved through during the course of the event; Anna Valley were commissioned to provide display technology for each area as well as crew and equipment to film and share video during the launch. 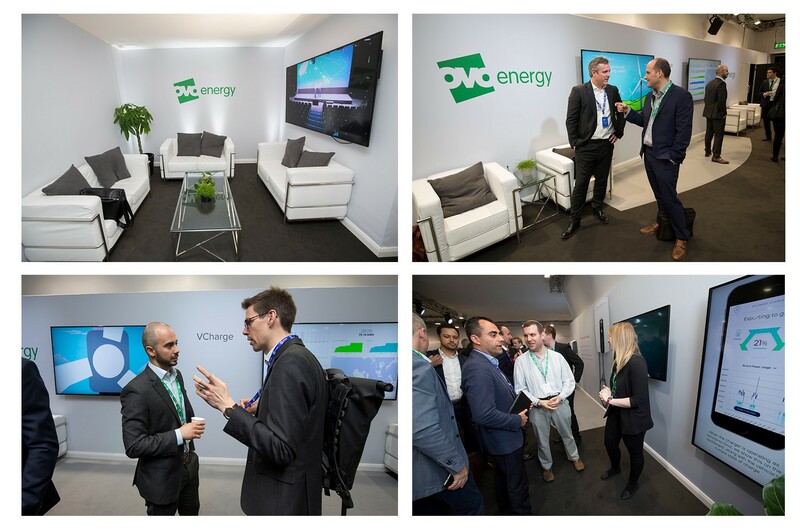 AV in the reception and demonstration areas was limited to a selection of wall-mounted LG screens to playback live presentation footage and promotional content and reflect the demonstrations with supporting audio. But the presentation room AV was all about making a big impact and Anna Valley supplied a massive 9.6m wide, 2mm LED screen and a Barco E2 screen management system to deliver 4K content as a backdrop to the main stage. A full d&b audio system (with Shure digital, wireless microphones and Clearcom Freespeak wireless and RTS wired comms,) comfort monitors and autocue screens completed the presentation room AV display package. To record the main presentation, Anna Valley provided a Panasonic AW-UE70 remote head camera and three Sony HXC100 cameras and operators. 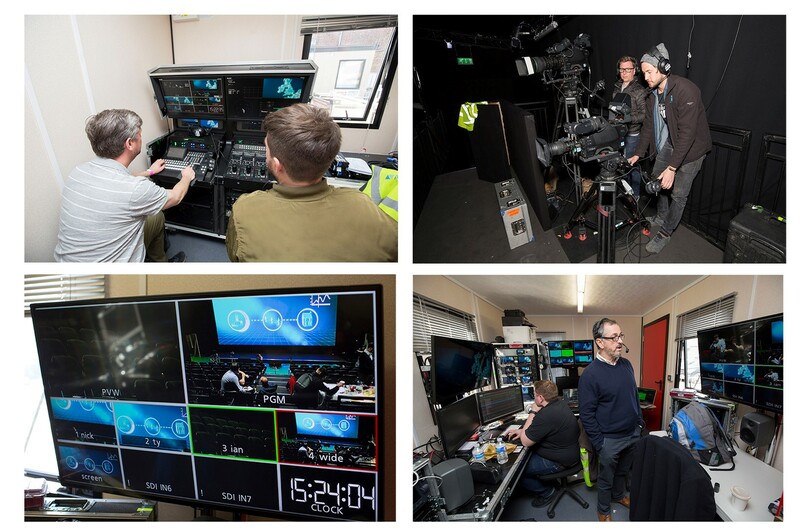 The cameras were controlled from a portable production unit, built around a Panasonic 410 vision mixer, which the video team used to produce a live mix of the presentation and ISO record the four camera feeds so that the client could re-edit the show at a later date if necessary. An on-site editor also created highlight packages featuring each of the products covered in the presentation which were posted online after the event along with a 90-second YouTube highlights video.